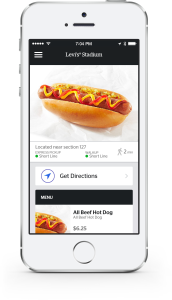 After a successful beta-type trial with the Cleveland Cavaliers this past season, startup Tap.in2 is seeking new customers for its in-seat food and beverage delivery app, which lets sports fans order and receive concessions without having to stand in lines. Unlike the well-publicized debut of stadium-wide in-seat delivery services offered last year at the San Francisco 49ers’ new Levi’s Stadium, the Tap.in2 program at the Cavs’ Quicken Loans Arena flew a bit under the radar and was only offered during the last 22 home games, including the Cavaliers’ home appearances in the NBA Finals. But according to Mike Jacobs, president and co-founder of the Cleveland-based Tap.in2, there are plenty of professional sports franchises interested in adding in-seat concessions delivery to their arenas, and Jacobs is confident Tap.in2 will soon announce some new customers beyond the Cavaliers and beyond the NBA. Though he didn’t have any names to officially announce, Jacobs held a recent phone interview with MSR while at an airport en route to meeting with a potential (unnamed) new customer. 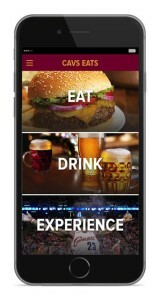 With somewhere north of $575,000 in reported funding, the six full-time employees and six part-timers at Tap.in2 will be competing mainly with Levi’s Stadium app developer VenueNext and its recent $9 million funding round in the new but rapidly expanding market for stadium in-seat food delivery apps. VenueNext, which said it will soon announce as many as 30 new customers, is rumored to be bringing its food-delivery expertise to other NFL stadiums this fall, but so far MSR has been unable to confirm any official deals. 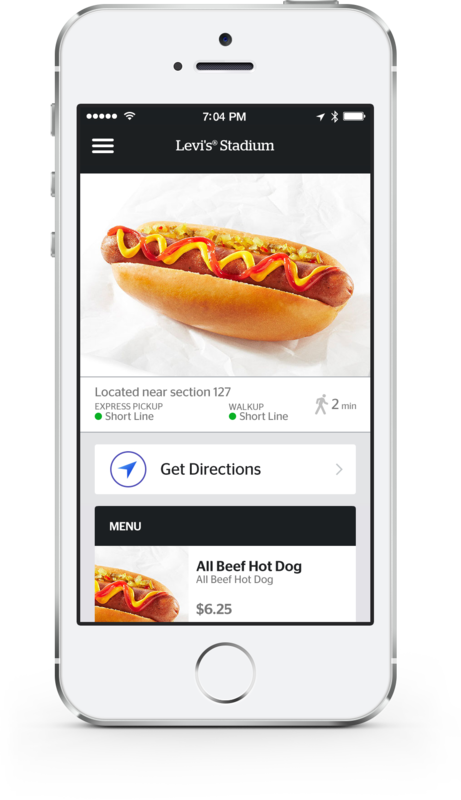 If there’s any app whose potential value needs no explaining to sports fans it’s in-seat delivery, which targets one of the biggest pain points of attending live events: Having to wait in line for concessions. In the recent past many arenas have added delivery services for suites and premium seating areas, usually facilitated by ushers with handheld wireless devices for ordering. But in most venues, the balance of fans still have to queue up for food and beverages, usually missing some game action while doing so. But now, with most big arenas having high-capacity Wi-Fi and DAS networks, the idea is to let fans use their smartphones to order concessions, allowing them to enjoy more of what they came to the stadium for in the first place. 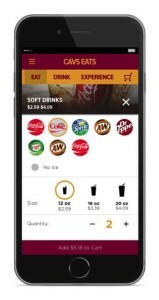 VenueNext screen shot of food ordering feature on app. Tap.in2’s Jacobs said one such story from his game-attending past — a New York Yankees game back in 1993 — planted one seed for the idea that eventually became Tap.in2’s app. At that long ago game Jacobs remembers his father missing three innings of some crucial late-season action merely to obtain a soft pretzel and some hot chocolate. A couple years ago while at college in Berkeley, Jacobs and his roommate Jordan Syms took the idea of eliminating concession line time and ran with it, building the startup that would become Tap.in2, a career path that led them to Cleveland. As a portfolio company at the startup accelerator called Bizdom started by Cavaliers owner Dan Gilbert, Syms and Jacob led their team to deliver an app that would let food and beverages be delivered to Cavs fans — starting very very slowly but then building over time. “For the first game the service was turned on, we had two seats live,” said Jacobs. The pair of lucky long-time Cavs season ticket holders, he said, racked up seven orders during the inaugural game, providing “good feedback.” After that the service was expanded to cover a single section, then two sections, eventually scaling up to support the entire lower bowl at the 20,562-seat Quicken Loans Arena. According to Jacobs by the end of the season the service was facilitating “hundreds” of orders per game and was already returning some interesting stats, like 80 percent of the orders being beverages and an average spend per order of $32. 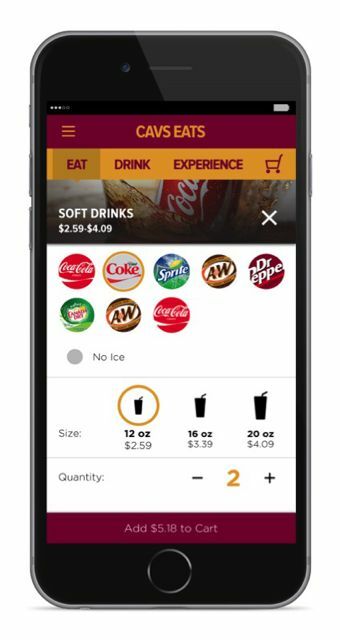 In addition to food and drinks, the Tap.in2 app also supports the sale of in-game “experiences,” like being able to shoot baskets on the court after the game. Jacobs said the Tap.in2 technology is designed to be easily integrated with an existing team app, like the NeuLion-built app used by Cavs fans. He also credited food and beverage provider Aramark for having incredibly efficient operations to allow for smooth delivery of orders, a human engineering problem that can sometimes go haywire when scaled up unexpectedly. 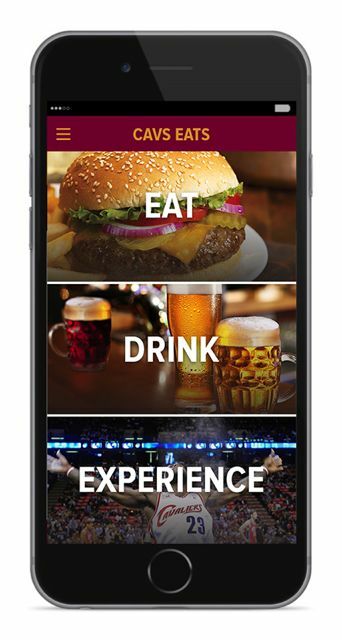 Front screen of Cavs Eats app. On the technical side, delivery apps need to integrate with back-of-the-house point of sale systems, and must be easy enough for fans to understand and stable enough for fans to trust with sensitive information like credit card numbers. But from industry interviews and reporting, it’s our guess that we will soon see a slew of food-delivery announcements at big pro and college venues this fall, from both VenueNext and possibly some from Tap.in2 as well. (Bypass Mobile, which once offered in-seat delivery via a service called Bypass Lane, appears to have completely switched to providing back-of-the-house POS systems for stadiums and other large public venues.) The trick for both the bigger VenueNext and Tap.in2 will be how well and how quickly they can integrate their delivery functionality with existing apps, something that is never an exact science.